Those of you who follow this Blog and read yesterday’s Post will know that I was speaking in London yesterday about my photography and more importantly about developing my presence on the web. And it has been due to preparation work for that talk that I haven’t been as active viewing and commenting on other people’s blogs as I would have liked in recent days. Sorry for that: normal service is about to resume. My talk involved ‘Live’ working on the Internet. Tricky! The WiFi link thankfully obliged but was a little slower than I would have liked, but it was surprisingly difficult to talk at the same time as performing some live work: uploading images, adding them to galleries and finally posting yesterday’s blog entry ‘live’. Hopefully I was able to demonstrate that creating websites and a blog like this using a CMS based approach is within the skill base of the vast majority of us – all it takes is that small leap of faith to make a start. So I ‘flew the flag’ for WordPress and also for a company called Click IT – the website developer and provider behind my own site ‘LensScapes Photography‘. Click IT is a smallish British company in comparison to some others but ‘small is beautiful’ as the saying goes, and with this company you really do get personal help and also a system that can range from the simple to the complex and with eCommerce possibilities. 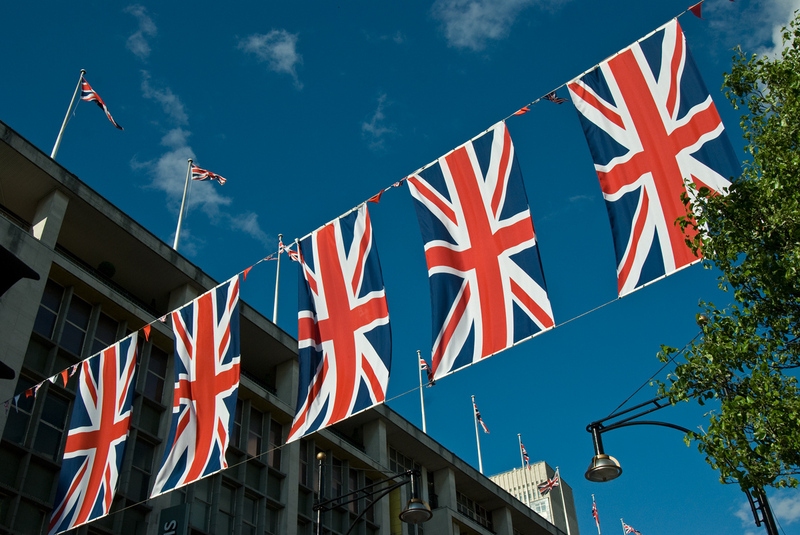 And on the subject of flying flags, London is certainly Flying the Flag for this Summer’s events: Our Queen’s Diamond Jubilee is in a week’s time and the Olympic Games at the end of July. The country has some exciting events coming up this summer. Oxford Street and Regent Street are now decked out with flags and on the way home yesterday I paused to grab a few shots in true summer weather – 27C in central London yesterday. The spike in temperatures has been abrupt but so welcome, and it looks like it will be lasting for a few more days. This entry was posted in London, Seen on the Street and tagged Click IT, Flying the Flag, London, Oxford Street, Union Jack. Bookmark the permalink. Its useful to have all these sites at a convenient click. And it was a great talk yesterday, thanks! I’m sure you were great yesterday. Wonderful images. 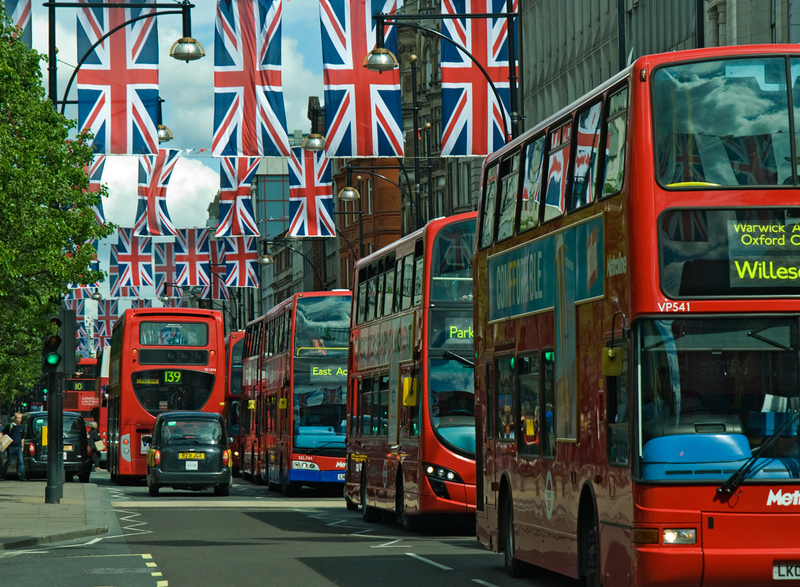 I bet London is going to get a whole lot busier (if it hasn’t already) with the Olympics just arond the corner. Thanks you so much, Edith. I tried to get tickets for the Olympics but wasn’t successful in the Olympics so I will become a couch potato for two weeks from the comfort of my armchair. I’m Sure London will get more glitzy as the time draws near.